1. 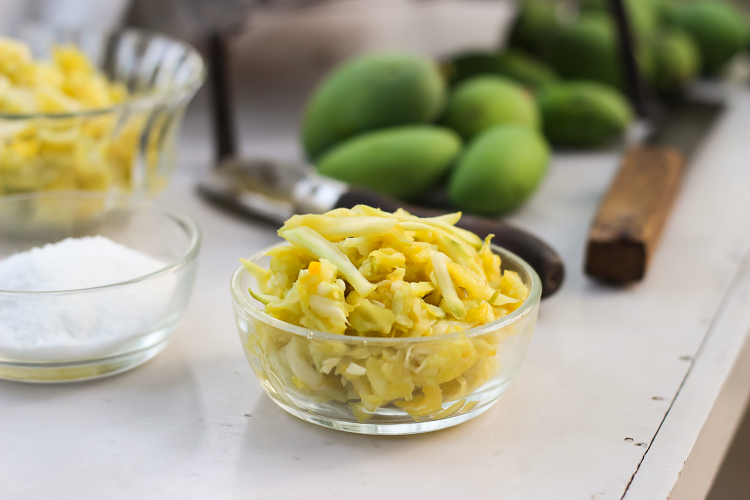 Mix grated raw mango and salt together in a large bowl. Transfer to ziplock bag(s) or to a freezer safe container. Freeze the preserve and use it as and when required. Recipe shared by a dear friend Ravaly Chelimala. The preserve stays for a long time in freezer. You can adjust the amount of salt used depending upon your preference. I have frozen it without salt too when I knew it would be used within few weeks. If you have added salt to the preserve, then you would need to adjust salt to the dish you would add preserve to. It happens frequently that we tend to forget to adjust the salt and end up with over salty dish.